You can assemble the mosaic by moving these triangles in thehorizontal direction and diagonally. 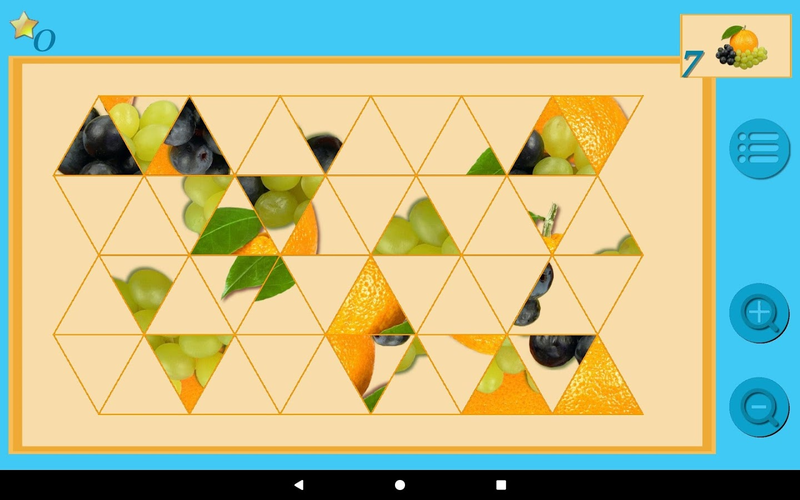 A block of triangles can beselected and rotated.Buttons will help to change the size of themosaic, show how it should look, call up a menu in which you canselect the level of the game and get a hint. 3D головоломка поможет с пользой для ума провести время. Игрокопускает блок на площадку. Предварительно он его может вращать иперемешать в пределах этой площадки. После заполнениигоризонтального слоя, этот слой исчезает. Очки начисляются прикаждом опускании блока и при каждом заполнении слоя кубиков. Игразаканчивается при невозможности разместить блок в кубе, содержащем9 слоев кубиков. Площадку можно поворачивать с помощьюрасположенных внизу экрана кнопок. Если Вы ошиблись при опусканииблока, можно отменить последнее действие с помощью расположенной внижнем ряду кнопки. 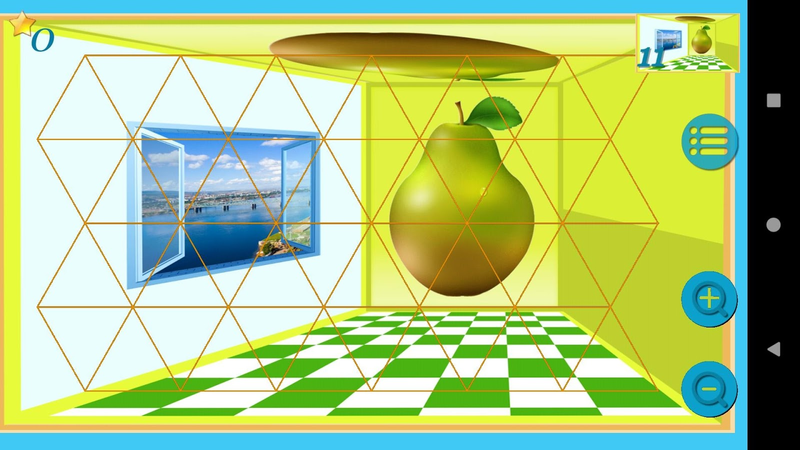 Доступное количество отмен указано на этойкнопке.3D puzzle helps with benefits for the mind to spend time.The player puts a block on the ground. Previously it it can rotateand mix within this area. After completing the horizontal layer,this layer disappears. Points are awarded for each lowering unitand at each filling layer cubes. 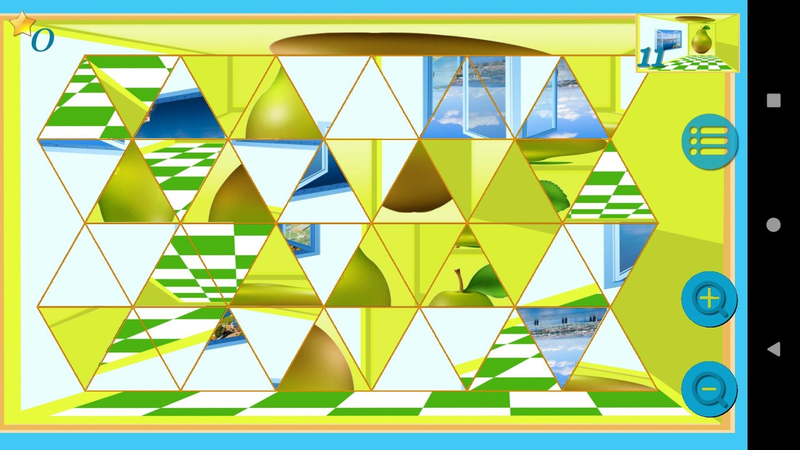 The game ends when it isimpossible to place the unit in a cube containing layers 9 cubes.Platform can be rotated using the buttons located at the bottom ofthe screen. If you make a mistake while lowering the unit, you canundo the last action via located in the bottom row of buttons.Available quantity of cancellations indicated on the button. Collect the puzzle “Magic stars” by moving only the “magic” stars.There is a bonus. Additionally, you can make the "magic" 5 stars. Mosaic puzzle is a splendid break for children, as it improvesvisual memory, logic, wit and imagination. Making up uniquecompositions develops concentration, diligence and attention. Thisamazing game helps develop visual perception skills and hand eyecoordination. Each board features an image made of colorful dots.The aim of the game is to copy the image by selecting the colorfuldots from the palette placed on the left to the blank dots at thecenter. This game is one of a series of educational games for kidsby EDUJOY. We believe that learning, playing, exploring andexperimenting is what children do best. Children can now enjoycolorful, exciting new games, helping them acquire new cognitiveand fine motor skills. It is easy, yet fascinating and helps todevelop accuracy, memory, fantasy and creativity in children. Youcan choose from more than 100 different images. Kids Mosaic Art Puzzles is a fun and educational game for youngchildren aged 2 to 8 years old. It features a large collection ofpre designed pictures which teach color and shape recognition aswell as hand eye coordination. For the artistic, the app alsoprovides the ability to create your own masterpieces using severaldifferent board types and sizes.The puzzles vary in difficultystarting with puzzles that use only a few different shapes andcolors up to games that require many different colors andshapes.Kids Mosaic Art Puzzles features:• a variety of colourfulpuzzle themes and difficulty levels as well as the ability tocreate you own designs. • high quality images set against colourfulscenes that look great on High Definition (HD) and retina displays•authentic sounds and fun effects for every completed challenge•recreate a variety of beautifully designed mosaics themed aroundanimals, transportation, plants, food and toys • increasingdifficulty as your child progresses through the activities• teachesvarious shapes including triangle, square, circle, hexagon and 12colors and tones• supports multiple languages: English, German,French, Danish, Dutch, Spanish, Greek, Italian, Japanese, Korean,Norwegen, Thai, Polish, Portuguese, Romanian, Russian, Turkish,Viet and others• no advertising and 100% kid safe. Fun for thewhole family.Kids Mosaic Art Puzzles comes with a selection of freepuzzles that can be easily upgraded through a single low costin-app purchase to enable all puzzles. By upgrading from the FreeApp to the full version you’ll also be entitled to all additionalpuzzles and features added in future releases.Mosaic puzzle gameshave traditionally been a fun and early education learning tool fortots, toddlers, preschoolers, kindergarten, and early school agechildren and are a stimulating game for girls and an exciting gamefor boys.• 2 to 4 year old children can practice their hand eyecoordination, matching skills, shape and colour recognition as theyprogress through the puzzles and enjoy the sounds on completion ofeach puzzle• 5 to 8 year old kids can try to race against the clockto complete puzzles as quickly as possible and design their ownmasterpiecesWe hope you and your children enjoy playing what webelieve is one of our best early education games for toddlers,preschoolers as school aged children.Please also check out ourother puzzle games and acclaimed kids educational apps athttp://espacepublishing.com or follow us on Facebook for the scoopon new app releases and free giveaways athttp://facebook.com/espacepublishing. Mosaic Photo Effects is an easy to use and powerful app to createamazing mosaic pictures. Transform any of your pictures into Mosaicphoto and create amazing mosaic photo collage using Mosaic PhotoEffects. Mosaic Photo Collage Maker is a great new way to createexpressive and unique art using the photos that are already in yoursmart phone's picture gallery. With the Mosaic Photo applicationyou can digitally create high quality mosaics with any collectionof photos. Mosaic Photo Effects, convert your photos into an Art.You can now make a Mosaic Photo just in some few steps. This MosaicMaking app makes high quality mosaic photo collages. Features: >Select pictures from your gallery images > Apply Mosaic Effects> Adjust transparency > Apply multiple blends effects >Add cute stickers > Add your personalized text > Save on SDCard > Share on social media Extra Features: PIP Camera - Setsyour photo in another photo frame with some creative frames. BlurEffects - Create DSLR-style background blurred photo by simplyselecting focus area. Make your photos extra fun with creativeMosaic effects. Try Now!! In our application you can collect fascinating colorful mosaicswith beautiful princesses. There are several difficulty levels andmany different pictures. The application is intended for any age.All pictures are free. Censor your photo image with choices of: - Mosaic or Pixelate -Blur - Color NOTE: By default, the app will load optimized image,you can change this in settings. Editing large image will requirehigh memory device else will result in app crash or no response. 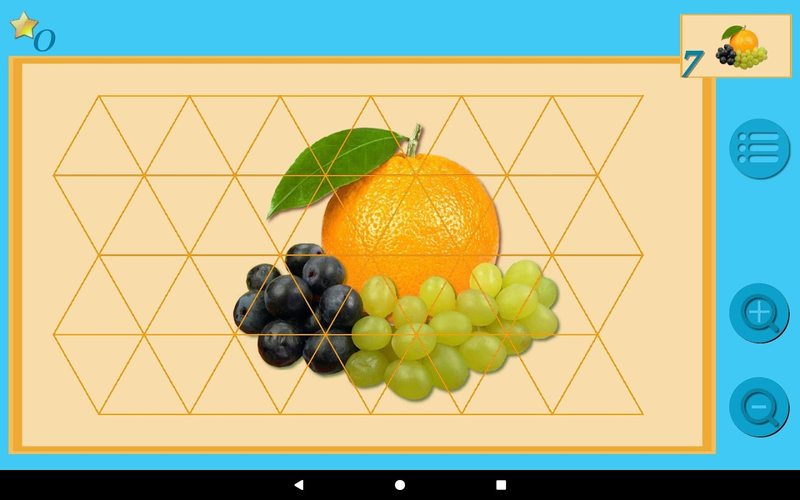 In this fascinating application, you will be able to collect thecolorful pictures of the different elements. Presented mosaicinterested in both adults and children. For a child mosaic is oneway of understanding the world. Develops creative abilities ofchildren, care, diligence. So with the help of our mosaics childcan understand some of the geometric shapes is the world, on whichitems can be divided into the objects around us. Adult same personjust nice to spend time. 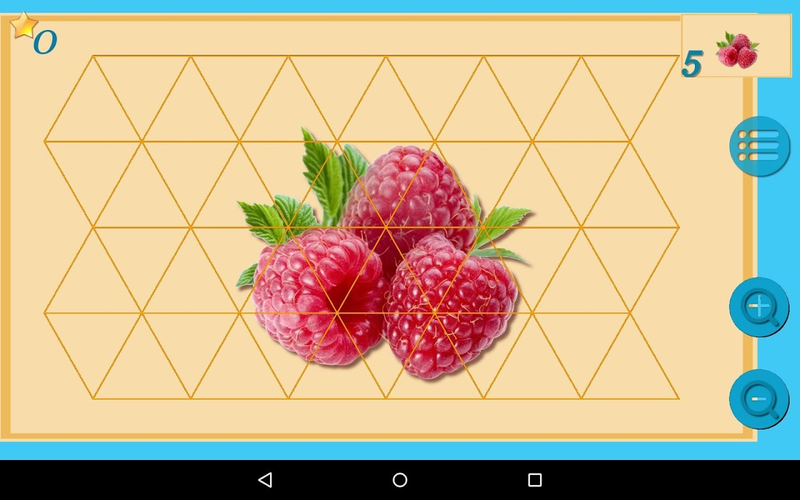 In our application presents two varietiesof mosaics: - In the first case, you collect colorful pictures ofhexagons. This mosaic is similar to classic puzzle where you haveto gather a picture, divided into hexagonal elements. - In thesecond case, you can collect fabulous house or a machine ofdifferent elements. Once the house will be built, you will see acolorful picture. In the application there is a minimum ofadvertising, not to interfere with the children collect colorfulpictures. Our puzzles are presented in 4 categories: - Fairy-talehouses - Princess - Transport - Animals Now there are 20application mosaics. Their number and the number of categories willincrease! Once assembled mosaic, colorful picture appears when youclick on different areas which play a sound to match the theme ofthe picture. Pixel mosaic by numbers for children - one of the most interestingand at the same time the most simple toys. Mosaic (puzzles) forchildren is a set of chips of different colors and plate.Children's mosaic in the child develops a great sense of style andharmony and creates an aesthetic sense. Also playing with smallchips helps develop fine motor finger, care and diligence. Mosaic(puzzles) for children - it is useful to develop a toy, and notjust a way to take something to the child. Pixel mosaic by numbers(puzzles) consists of a platform on which the layout of cells by 11gorezontali, 8 cells vertically. In contrast to the static gameinfinite number of chips in seven colors: red, yellow, blue, green,brown, black, and an eraser to remove the erroneously set of chips.There is also a gallery of pictures of tips that have beencollected on the number of 100 pieces: tomato, cats, dogs, orange,cherry and so on, all you can come up with a fantasy child. Withhelp of Mosaic (puzzles), you can train a child writing numbers,the application contains drawings hints from 1 to 10. Functionalityto immediately remove all of the chips, turn off the picture clueand the child is free to add any of the images themselves. Eachscreen has its own style of game design and can replace chips formround, square and cross. Each color has its own note, which soundswhen you click on a chip. In the Lite version is 15 tips Pixelmosaic by numbers for children HD full The full version containsthree color themes, each with a unique set fishok. Topics aredivided into categories for boys, girls, and training. Boys themecontains 20 tips, pictures: Cars, planes, house, umbrella, etc. Forgirls theme also includes 20 tips such as Mushroom, flower,butterfly, turtle, bird, mat. The third theme tutorial contains thenumbers 1-10 and the child can learn with the help of the mosaic iseasy to write any number and even the Roman which is also containedin the tips, they are also 20. 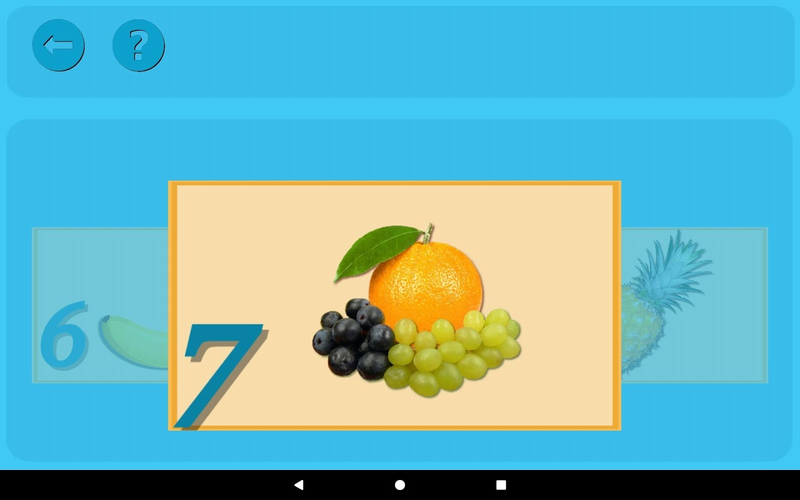 In total 100 full version containsclues, they will help the child to draw a picture of your object,animal, or plant, as well as learn how to write numbers fast easyand fun.